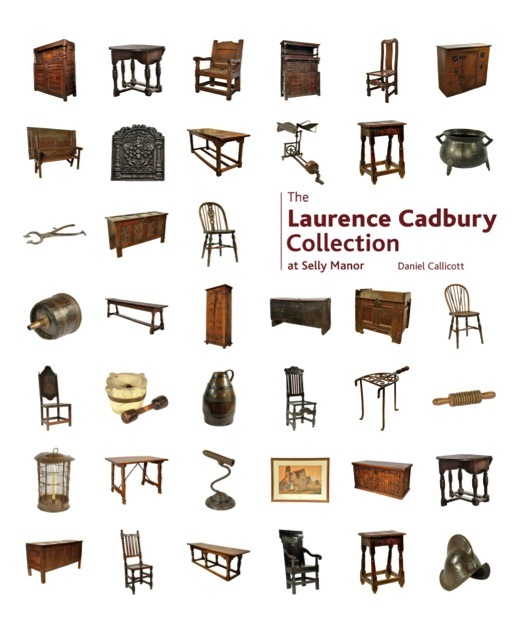 RFS members will be interested to see this new publication on the outstanding contribution of Laurence Cadbury who created a wonderful collection of early furniture, domestic objects and archives for Selly Manor. Written by Museum Manager Daniel Callicott and based on original research, this book catalogues the collection with detailed historical descriptions and photographs of the objects, which date from the 16th – 19th centuries. With over 170 full colour images this is a fascinating, illuminating and colourful publication that brings this important collection to print for the first time. How Laurence Cadbury acquired such an impressive collection is documented through photographs and archives, and the book describes his relationship with local antiques dealer Oliver Baker. All proceeds from the sale of this book will go towards the conservation and preservation of the Laurence Cadbury Collection at Selly Manor, ensuring these objects will be enjoyed by generations to come.